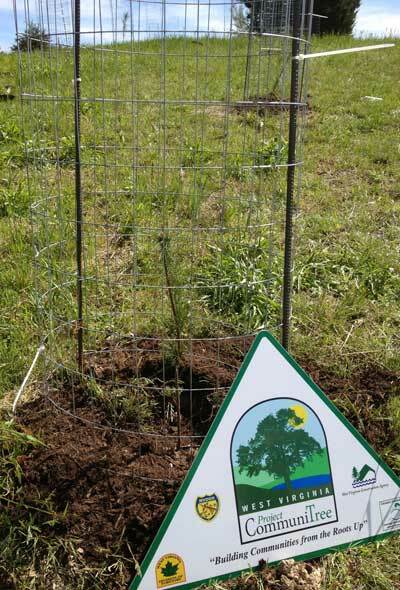 The Morgan County Commission was awarded 150 evergreen trees through WV Project CommuniTree to plant at the 522 Business Park in Morgan County, WV. 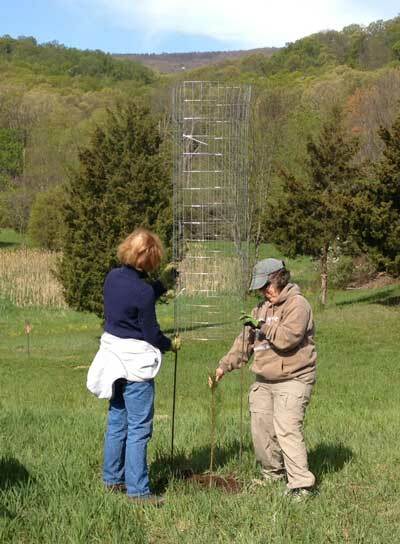 The amount of planning and site preparation is often left unseen to volunteers who participate in the planting event. 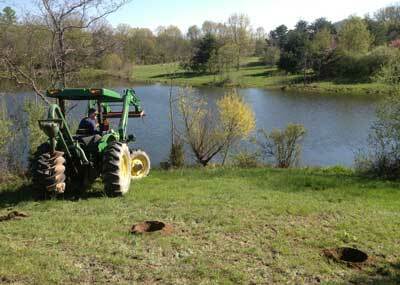 However, many meetings, discussions, and hours are spent in getting each planting site shovel ready. Thankfully, Morgan County producer Lin Dunham volunteered his equipment and skilled labor to auger 150 holes for the planting. I do not believe this project would have been possible without his assistance. 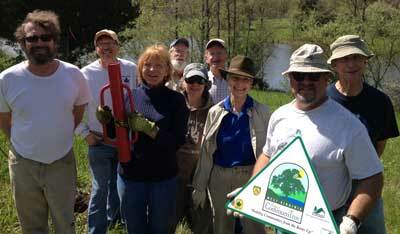 The WV Project CommuniTree planting event had 8 volunteers from two local watershed groups, Sleepy Creek and Warm Springs. 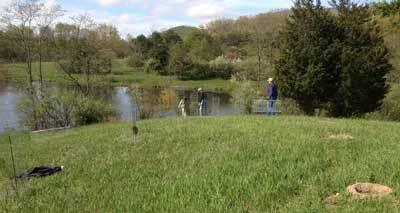 The weather was pleasant, the group worked diligently along the edge of an existing pond and wetland. The group took a break to share stories and eat lunch. 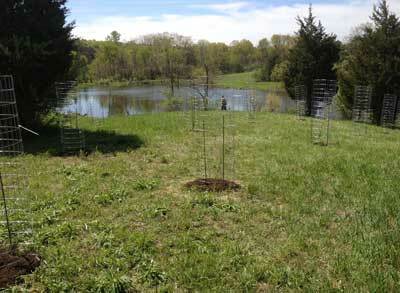 Then the group moved to the second planting site along the northern property line. This location will provide a screening buffer from the adjoining property and the business park.